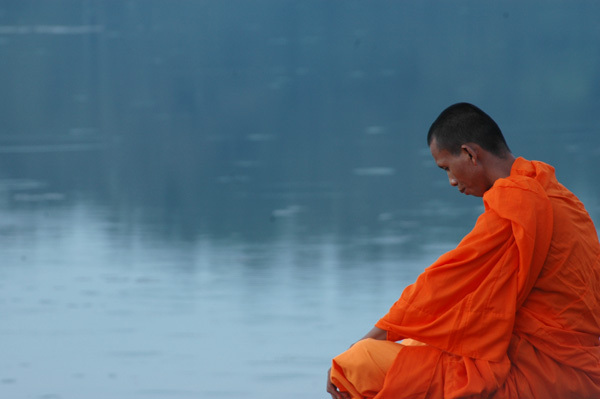 What actually is meditation or mindfulness? To set one thing straight right from the beginning, mindfulness is a type of meditation, or more accurately, a meditation technique. There are many ways to meditate, but it seems to be true that for the western mind, the mindfulness approach often seems to work the best. I also suppose that mindfulness may be considered a very down-to-earth approach, as opposed to other more spiritual practices, some of which might be just a bit too esoteric, and for that reason mindfulness is more accepted, or for some more acceptable. As to what meditation is, the good thing about it, is that meditation is about DOING NOTHING. You don’t meditate to DO something, you meditate to, exceptionally, take the time to do nothing and just OBSERVE whatever it is, that is already there (your breath for example, the noises around you, whatever feelings that you might have at that moment, aches you might feel in your body etc.) And you may read this and think that this sounds silly or simple, but you have to believe me that doing nothing is extremely difficult for most people. And to add to this, when you practice mindfulness, you must also practice ACCEPTANCE, which means paying attention to your thoughts or feelings without judging them, without labelling them as ‘right’ and ‘wrong’ thoughts or feelings. And again, not judging is something that for us, western people, and especially for people around here – called to make decisions every day – goes so much against how we usually operate. And a last and, for me, incredibly important aspect of meditation is that it helps you get in touch with the present moment. 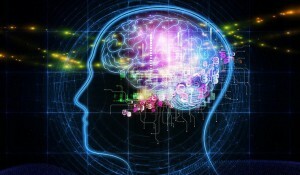 Studies have shown that we spend most of our time (around 80%, I think) in thoughts connected to the past, events that have already happened, or the future, which has not happened yet. And some wise mind said that this is indeed a pity, if we take into account that all we’ll ever really have is the PRESENT moment. And that’s exactly what you’ll miss by being somewhere else in your head when the present moment happens. How do you do meditation? To meditate or to practice mindfulness it is best to sit up straight (either on a cushion or on a chair). Sitting makes it easier to really concentrate and focus and helps ensure you don’t fall asleep. Closing the eyes will allow for a better focus and then there are different ‘tricks’ that will help disconnect from the ‘super-computer’, namely the mind, and connect to the body. The most accessible and easiest one is to bring the attention to the breath. Breathing is the most natural thing one can do, it does not require any effort, so one doesn’t DO breathing, one just breathes, that’s why observing the breath is such a widespread mindfulness technique. And just in case you think I must be nuts, try for 30 seconds to see how awfully difficult it is, to just close the eyes and instead of allowing 1000 thoughts to cross the mind, pay attention to the breath – from the moment the air comes in through the nose, to the moment it goes to the lungs and is then exhaled. That is a tiny example of how to meditate. Why are you meditating? How did you start? Or why? I was reading a biography about Leonard Cohen and there I heard for the first time in my life about zazen meditation. This guy had an extraordinary life. A part of it, 7 years to be exact, he spent in a zen monastery somewhere outside Los Angeles. So I wanted to see what that was all about and went to a zazen meditation centre in Brussels. I think that if I were to have asked for the most difficult meditation technique, I would have been definitely sent there, but I knew nothing about it at that time. 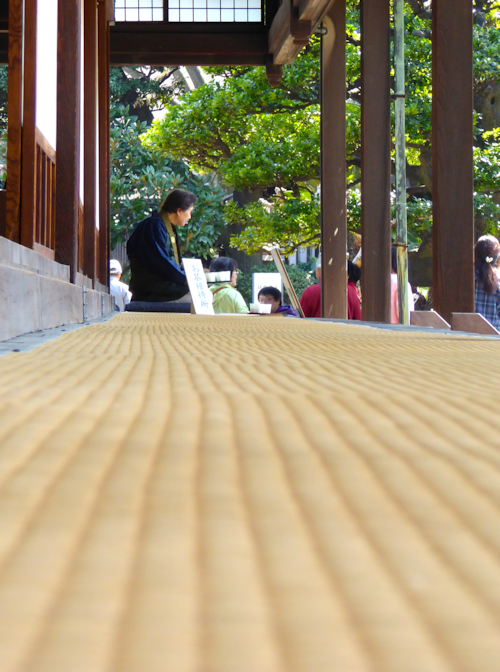 In zazen you sit for quite a while (in the dojo where I went for 2 hours with a small break where you meditate and walk) and you have hardly any guidance to tell you what to do with your attention, which, I think, makes it difficult for the beginner. After that I encountered Ivan Bel, the meditation teacher I then asked to come and offer classes in DG HOME and with whom I have now learned different meditation techniques and realized, for myself, that in the end, you can make of this technique, putting your attention to whatever happens now, a way you live. But it is still extremely difficult and I am happy I still have many years ahead of me to practice what I now preach! Who should try meditation and why? Everybody can try it of course, but I think the most beneficial attitude towards it is to be open and curious. Because, if you really want something out of it, if you want to fix something or if you think that the meditation will fix you, then you might have more troubles getting to the core of this all, which is in the end a state where you are able to see what it is, to accept it and even to enjoy it. As it is a practice, an exercise, you should not have too many expectations that something incredible will happen the first time you try it. So surely you don’t come in as you and leave as the Dalai Lama at the end of the class. As the purpose of the exercise itself is that nothing specific happens but that you train your ability to pay attention to what is there in exactly that moment, you will probably only notice after a while that this ability, to take a step back, observe and not judge is a great tool, a gift you give to yourself. As to the benefits of practicing meditation/mindfulness, there are by now many studies that show the positive effects of a regular practice. I will only name a few of these positive effects, which are for me linked to our working environment: it increases positive emotions while reducing negative emotions and stress, it boosts the immune system, it changes the brain – it increases the density of grey matter in brain regions linked to learning, memory, emotion regulation and empathy, it helps one become more focussed, it fosters compassion and altruism. And if this does not speak to you yet, I’ll bring an observation from our working environment. Do you have colleagues that come to a meeting and while they are supposed to talk and listen to you, they also check continuously their phones and have another file on the side they also ‘read’? I would say that a practitioner of mindfulness would wonder to what these persons are really present, focused and engaged? Is it in the conversation with you, is it in the exchange with their phones, or with their other files? I think that it is a wrong message that was sent that the busier you look, the better achiever you are. One can only do, really do, one thing at a time. Someone who thinks or tries to personify the opposite is nowhere, he/she is not present in the conversation you are having with them, and I don’t think they do justice to their emails or their other files either. Tout comme l’aïkido, le shiatsu est aussi une voie du vide. Cette technique d’acupression manuelle cherche à mobiliser le Ki pour soigner une personne « malade » (il faut comprendre ici la maladie selon la vision chinoise comme étant un déséquilibre interne mécanique, physiologique et énergétique à la fois). La plupart des praticiens font exactement cela. En développant leur ressenti ils arrivent à connaître l’état de l’énergie dans le corps, les organes et les méridiens, et savoir s’il s’agit d’un blocage, d’un excès ou d’un vide, dans le but de rétablir la circulation globale permettant ainsi au corps de retrouver son équilibre et donc, par voie de conséquence, sa santé. En écoutant un jour Bernard Bouheret, grand professeur spécialisé en shiatsu thérapeutique, celui-ci disait qu’en allant de plus en plus profond dans la connexion avec le receveur, nous passons les couches physiques, psychiques, de l’énergie et de l’Essence (le Jing). Mais que tout au fond de l’être humain, quand il n’y a plus rien, que touche-t-on ? « L’âme », se questionnait-il ? Pour ma part, je penche plutôt pour un contact avec la dimension vide qui nous compose à 99%. Et cela ne devrait pas être bien compliqué à comprendre pour les pratiquants de shiatsu. En effet, pendant les études nous apprenons que le Ki circule dans les espaces Cou Li du corps, ces espaces vides entre la peau et les muscles par exemple. Mais elle circule également via les méridiens principaux, les vaisseaux merveilleux, les méridiens tendino-musculaires, les méridiens divergents, les méridiens de communication de surface comme de profondeur, bref partout. Les étudiants les plus avancés savent que le corps est parcouru d’une trame complexe qui va dans les huit directions (haut/bas, avant/arrière, droite/gauche, profondeur/surface). Puisque tout est énergie, l’énergie passe dans la seule dimension qui existe partout : le vide. De son côté, Kawada senseï me disait lorsque j’étais son étudiant qu’il ne fallait pas mettre d’intention dans la connexion à l’autre. Ainsi, on créait un espace vide où le receveur pouvait se recueillir, se retrouver, régénérer ses forces et surtout choisir librement sa voie et son rythme de guérison. Cette voie n’est d’ailleurs pas toujours celle que le praticien avait imaginée, ce n’est même pas forcément la meilleure voie pour que la personne guérisse, mais c’est la sienne. La non-intention dans le traitement permet la création du vide au sein du receveur. Ce vide d’intention lui offre la liberté nécessaire pour se connecter à sa dimension première qui est essentiellement du vide. De son côté, le praticien créé aussi du vide en lui, ce qui lui permet au passage de reposer un peu son cerveau, et grâce à cela se met en communication avec la dimension intérieure du receveur. Autrement dit, c’est parce que les deux personnes sont dans un état de vide que tout communique et circule sans barrière. Sortons un peu du shiatsu. Vous êtes tombés durement et allez vous soigner chez un ostéopathe. La première chose qu’il fait est de remettre de l’espace (du vide) entre les vertèbres de la colonne. 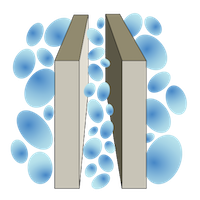 Le craquement que l’on entend alors est le bruit de la bulle de gaz qui se trouve au sein de la poche de synovie, autrement dit c’est le bruit d’un espace vide dans votre corps. Ce gaz avait formé une bulle (concentration) qui, comme tout vide, avait la fâcheuse tendance à coller les os entre eux, au grand damne des nerfs vertébraux. En « claquant » la bulle, le gaz se disperse plus harmonieusement dans la synovie et l’équilibre entre vide et plein est rétabli. La personne se sent instantanément mieux. Vous avez souvent des douleurs à l’estomac, aux intestins, un côlon irritable ou encore un transit paresseux. Ou bien encore vous êtes la victime de maladies neurologiques, dont on sait maintenant que la plupart d’entre elles ont une origine dans les intestins (du fait d’une paroi intestinale devenue faible et poreuse). L’un des traitements efficaces est le jeûne thérapeutique, c’est-à-dire faire le vide dans le tube digestif pendant plusieurs jours pour se nettoyer et laisser son corps se régénérer. Dans son livre « le diagnostic oriental », Ohashi senseï fait un drôle de dessin qui représente un humain comme un gros tube avec une grosse bouche à l’entrée et une grosse sortie à l’arrière. Selon lui, tout se résume à cela. Un tube vide que l’on remplit et que l’on vide sans cesse. Mais lorsqu’il dysfonctionne ou qu’il est malade, le meilleur moyen de le rétablir est de le ramener à sa dimension vide afin d’augmenter son potentiel. Alors, tout repart dans un mouvement de vide et de plein, de Yin et de Yang, de vie. Il est généralement conseillé à ceux qui jeûnent d’aller loin de leur environnement quotidien, de marcher beaucoup, de couper les communications et de faire le calme afin de se retrouver intérieurement. Une compréhension plus subtile du dessin d’Ohashi m’a été donnée par Raphaël Piotto, professeur de médecine chinoise en charge de la formation des acupuncteurs de Belgique. Pour lui ce principe de vide s’exprime via la colonne Xu Li, que l’on traduit par « colonne du vide ». Elle est rattachée au grand méridien Luo de communication de l’Estomac (qui est un organe vide). Selon les ouvrages de référence, il existe 15 ou 16 méridiens de communication. Pourquoi cette hésitation sur l’un d’entre eux, le grand Luo de l’Estomac ? Justement parce qu’il représente le vide. Le vide est une notion si importante dans la médecine chinoise qu’elle n’est jamais clairement explicitée, comme tout ce qui ne se voit pas. C’est le rôle de l’étudiant que de chercher les explications à travers la voie proposée par le shiatsu. Mais pour donner une piste aux praticiens qui me lisent, pourquoi le doigt de pied du milieu est-il le seul à ne pas posséder de méridien ? Et pourquoi est-il situé juste à côté de celui de l’estomac ? Encore une fois, la capacité à gérer, régler, donner de la cohésion au corps et à la digestion, est dévolue à une seule notion : le vide. Au passage il est intéressant de noter que les cinq viscères Yang sont vides, c’est-à-dire creux, et que tous permettent de gagner de l’énergie en la transportant. Les organes et les méridiens Yang sont réputés pour transporter, faire circuler et transformer. L’estomac est creux, ce qui permet de le remplir de nourriture. L’intestin grêle est creux également, ce qui permet de gagner de l’énergie via la digestion. Il est aidé en cela par la vésicule biliaire, qui est une petite réserve en creux, qui envoie la bile pour harmoniser la digestion. 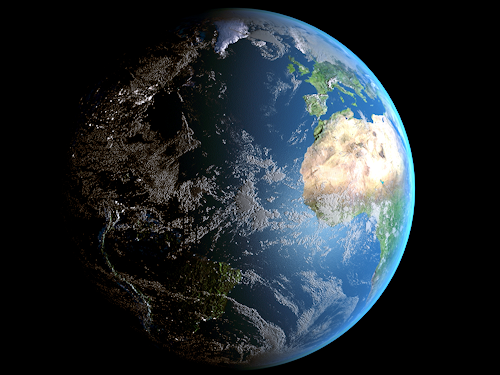 La vessie et le gros intestin font circuler les liquides et les solides usagés et les renvoient dans la nature afin de poursuivre le grand cycle de la nature. Car grâce au fait de se vider, le corps communie avec la nature et exècre ce qu’il a reçu. Il le retrouvera plus tard sous forme d’eau dépolluée ou de végétaux qui auront poussé sur ses excréments. Quid des organes Yin ? Le cœur est creux, ce qui lui permet de se remplir de sang et de le renvoyer à la circulation pour donner de la chaleur au corps, qui est une forme d’énergie (thermique). Les poumons sont creux aussi pour se remplir de vide, ou plutôt de ce qu’on appelle communément l’air. La rate est déjà plus considérée comme étant pleine, car créatrice du sang, mais pas suffisamment puisqu’elle récupère de l’estomac « l’essence de la nourriture » pour enrichir le sang. Le foie peut sembler un organe plein aussi, mais ce n’est pas tout à fait exact. Il possède une multitude de petits espaces qui permettent de ralentir le débit du sang venant des intestins pour le filtrer de tout ce qui est impropre à la consommation humaine. Les reins sont à leur façon, creux eux aussi, pour filtrer l’ensemble des liquides organiques qui passent à travers eux. En d’autres termes, c’est l’ensemble de notre organisme qui fonctionne en creux pour permettre que le mouvement naturel se fasse à travers lui. En conclusion, faire le vide est une notion qui nous intéresse à tous les niveaux de compréhension : physiologique, psychologique, martial, méditatif, thérapeutique et même scientifique. Si, grâce à cette compréhension du vide, mais surtout à son ressenti profond, nous augmentons notre potentiel, alors toutes les possibilités s’ouvrent à nous. La plus importante d’entre elles est la fusion avec le vide, qui ouvre les portes de la perception et du ressenti. Notre corps nous montre la voie. Sa relation au vide est telle qu’on ne peut ignorer qu’il s’agit de son premier principe de fonctionnement. 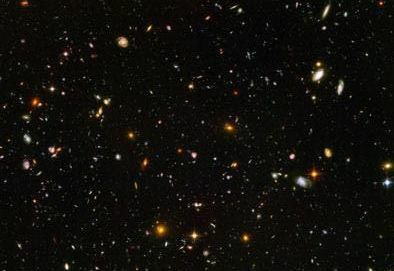 L’espace galactique est composé lui aussi de vide. Les deux échangent en permanence des informations vibratoires ou de matières solides dans un immense va-et-vient qui forme un cycle sans fin. Grâce au vide, nous communiquons à tous les niveaux et tous les niveaux communiquent avec nous. C’est pourquoi il est indispensable, quelle que soit notre activité, de toujours revenir au fond de nous et tout autour de nous, au vide qui compose chaque chose et chaque être. Pour reprendre ce qui a été dit précédemment, sans le Yin, le Yang ne peut s’exprimer. Il faut du vide pour accueillir le plein. 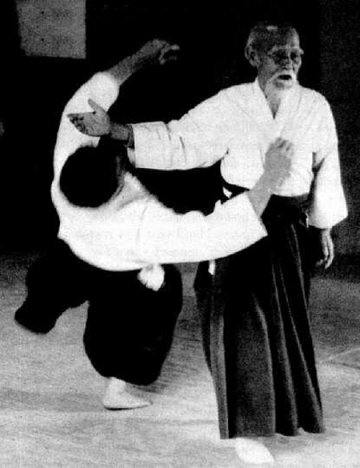 Et c’est là tout le génie créateur de O Senseï Morihei Ueshiba, fondateur de l’aïkido. Lorsqu’il était étudiant auprès de Takeda Sokaku, sa technique était dure, pleine. Comme la grande majorité des arts martiaux, la seule réponse à une attaque pleine est une réponse plus dure encore et plus puissante. Mais peu à peu il a su évoluer vers le vide. On peut très bien voir l’évolution vers la notion de vide de O Senseï à sa garde sur les photos de lui avant et après-guerre. L’abandon d’une garde visible pour un mugamae (position sans garde) est parlante à de nombreux égards. C’est le symbole visible de l’adoption du vide pour inviter quiconque à venir vers lui, que la personne soit chargée de bonnes ou de mauvaises intentions. C’est aussi la preuve qu’il a étudié profondément la dimension du Tao et des principes de la nature, sans doute à travers ses voyages en Mandchourie (bien qu’on ne sache rien de ce qu’il a réellement lu, vu et fait là-bas) et sa pratique mystique auprès du maître Onasiburo. C’est également la preuve d’une intense méditation qui a dû lui ouvrir les portes du ressenti du vide. D’ailleurs, on le voit assez peu méditer sur les photos d’avant-guerre. La connaissance intime du vide qu’il a su développer lui permettait de répondre à n’importe quelle situation, notamment quand ses uechi deshi cherchaient à le surprendre à la sortie des toilettes (anecdote véridique). Mais être sans garde ne veut pas dire être vide d’intention ni de capacité à répondre. Tous ceux qui l’ont approché de près peuvent témoigner sans exception de la fracassante puissance dont il faisait preuve. Son potentiel était pleinement arrivé à maturité lorsqu’il a rebaptisé son art Takemusu Aïki. Mais là où les techniques d’aïki sont les plus puissantes, c’est lorsqu’elles suppriment la force pour privilégier le vide. 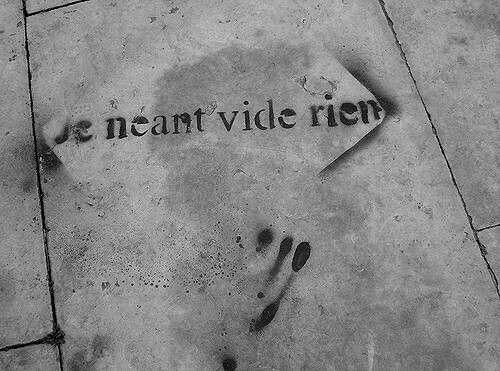 Comme nous l’avons vu, le vide attire irrésistiblement. Ikkyo sur un jodan tsuki est une réponse qui amène vers le sol en créant un vide si subit (à la vitesse de l’attaque en fait) que uke plonge à une vitesse vertigineuse vers le tatami. Koshinage est une bonne technique, mais elle devient bien supérieure lorsque aïte enlève le support des hanches et s’assoit en seiza pour créer un vide. Sans support, uke chute sans aucune chance de se retenir à quoi que ce soit et ne peut que tenter de ne pas se faire trop mal à l’atterrissage. Dans tous les cas de figure, le vide représente une technique plus puissante qu’en utilisant de la force. Pour la petite histoire, la dernière fois que j’ai eu le plaisir de saisir Léo Tamaki, j’ai vu le sol se rapprocher si vite que j’ai à peine eut le temps de tourner la tête pour éviter un atterrissage sur le nez. 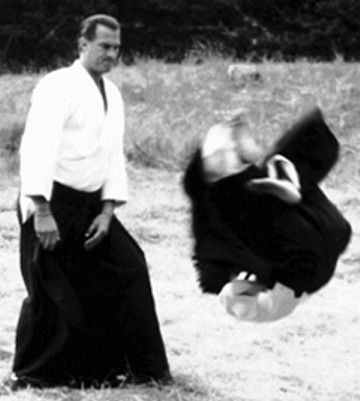 Me connaissant, il n’avait pas ralenti le mouvement et le vide dans sa technique était si bien réalisé que pour la première fois dans ma pratique de l’aïkido j’ai eu vraiment peur, ce qui au vu de mes 30 ans de pratique martiale est un exploit en soi. J’ai eu peur car je n’ai pas senti son déplacement ni vu son effacement. Le vide m’a littéralement aspiré. J’avais déjà ressenti cette sensation avec Tamura senseï, mais jamais avec autant de surprise. Le terme aïkido se traduit par « la voie de l’union des énergies ». Cela revient à dire qu’il créé le vide pour pouvoir attirer les énergies et les faire fusionner. Toute fusion, nucléaire notamment, provoque une réaction d’une grande intensité. Mais faire le vide dans le mouvement, sous stress et face à un attaquant déterminé est loin d’être facile. C’est pourquoi l’aïkido n’est pas une voie simple à réaliser et attire de moins en moins de pratiquant. 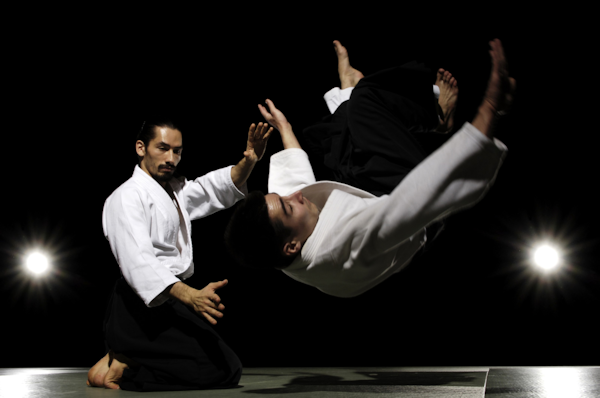 Les voies martiales proposent en général d’ajouter plus de techniques et certaines mêmes noient le pratiquant sous des centaines de techniques et de katas, taolu ou pompsang. A l’inverse l’aïkido, comme le judo ancien d’ailleurs, insiste sur le fait d’épurer, d’enlever toujours un peu plus. Autrement dit, l’aïkido est la voie du vide. Il peut donc se pratiquer en toutes choses, du moment que l’on garde à l’esprit le principe du vide. « Less is more » comme disait Robert Browning dans son poème Andrea del Sarto. Il existe deux moyens principaux de provoquer un vide dans la technique d’aïkido. La première et la plus évidente est de créer une aspiration de l’attaque. Cette aspiration se fait grâce au déplacement du corps, mais aussi dans le fait d’accompagner le geste de uke. Si l’attaque est shomen uchi, il faut l’aider à trancher vers le bas. En encourageant la coupe de uke avec sa propre dynamique, le mouvement devient trop puissant pour uke qui perd l’équilibre vers l’avant. Idem avec yokomen uchi et toutes les frappes et coups de pied. Uke peut gérer sa force d’attaque, mais si celle-ci s’additionne avec une autre force, il est emporté dans son mouvement. Vu sous l’angle du Tao, cela consiste à augmenter le Yang de l’énergie en mouvement (cinétique) pour qu’il aille à son summum et s’épuise afin de devenir rapidement une phase Yin. Suivant cette logique Yin et Yang, l’autre moyen est d’interrompre l’attaque au moment où le Yin devient Yang. Pour reprendre Shomen uchi, le Yin monte d’abord avec l’intention d’attaquer, puis avec le frémissement du muscle élévateur de l’épaule et enfin avec la montée du bras. Tout l’art de aïte est de ressentir à quel moment uke quitte l’état de vide et se remplit peu à peu. Plus tôt aïte sent le changement dans le vide, plus rapidement il peut intervenir et bloquer l’attaque ou même la velléité d’attaque. Le seul moyen de contrer un Yin ascendant et d’arriver avec une force Yang afin de rétablir une neutralité. Plus que jamais on voit à quel point l’étude du Tao est fondamentale pour la compréhension de l’aïkido. Une de mes étudiantes de méditation m’a demandé ce que je pensais de l’océan. Je lui ai répondu que l’océan était la plus grande réserve de gaz (notamment de CO²) et d’oxygène. De plus, l’eau dont la formule est H2O contient bien deux gaz, l’hydrogène et l’oxygène. L’air, les gaz en général sont du vide (je rappelle que le vide n’est pas le néant). Par conséquent, l’océan est la plus grande réserve de vide de notre planète puisqu’il est présent sur les trois quarts de la surface. Nous autres êtres humains sommes composés de cellules certes, mais aussi de molécules et plus bas dans l’échelle vers l’infiniment petit sont les atomes. Or les scientifiques ont établi que les atomes (un neutron et des électrons autour) sont constitués à 99,99% de vide. Par conséquent, nous sommes essentiellement composés de vide. Vous pensiez être plein ? Désolé, vous êtes essentiellement du vide avec un petit peu de matière dedans. Le pire c’est qu’il en va de même pour tout ce qui nous entoure. Le pain de la boulangerie, les murs qui semblent vous enfermer, l’avion qui vous transporte, l’eau que vous buvez, tout est vide. Par conséquent, il existe beaucoup d’espace tout autour de vous, même si vous habitez une simple chambre de bonne sous les toits de Paris. La prise de conscience que le vide est l’élément majoritaire dans notre univers n’est pas toujours facile à accepter. Mais au moins vous comprenez que vous faites partie du tout, au même titre que les arbres, les poissons et les oiseaux. Si tout n’est que vide, alors qu’est-ce qui nous distingue du reste de la création ? A priori rien. Le fait d’être aussi vide que le reste permet de ne plus se sentir isolé, coupé du monde, mais de fondre en elle et de ne faire qu’un. En soi c’est plutôt une bonne nouvelle. D’ailleurs, les gens qui méditent trouvent facilement le bonheur d’être vivant par ce biais. Ils ressentent que tout ne fait qu’un et qu’ils sont connectés au tout. Comment font-ils ? Ils font le vide aussi souvent que possible. Il faut curieusement assez peu de temps pour arriver à cet état, mais à divers degrés selon les années d’entraînements bien entendu. C’est juste une question d’effort, l’effort de ne rien faire. Cela demande de la discipline. Les arts martiaux sont une voie qui mène à cela, mais c’est la plus lente. La voie des artisans, des thérapeutes naturels en est une autre. La voie express est bien sûr celle du moine méditant. Toutefois, nous croyons que l’être humain possède une petite singularité qui le distingue du reste de la création : sa conscience et sa pensée. Fondamentalement une pensée n’est pas palpable, c’est du vide. Du coup, elle peut circuler à la vitesse d’elle-même. Si vous imaginez que vous êtes sur Mars, hop, vous y voilà aussitôt alors qu’avec un vaisseau spatial il vous faudrait un peu de temps. Même la lumière ne va pas aussi vite. Voyager à la vitesse de la pensée est le stade ultime du mouvement. La conscience permet de savoir que nous pensons. Du coup, cette entité n’est pas conditionnée non plus par la matière. La conscience est, comme la pensée, une forme de vibration. Et comme toutes les vibrations, celles-ci se déplacent aisément dans le vide. Cela peut paraître un peu trop farfelu comme explication, mais alors comment expliquer les moines tibétains qui du haut de leurs montagnes peuvent vous raconter en détails l’intérieur de n’importe quel endroit dans le monde, comme la Maison blanche ou le palais de l’Elysées, et ce bien avant l’invention de l’Internet ? Non seulement ils voyagent à la vitesse de la pensée mais de plus ils en ont conscience puisqu’ils rapportent des témoignages précis. Je dis souvent à mes étudiants que seules nos croyances nous imposent des limites. Bien sûr tout le monde n’arrive pas à ce genre d’expérience, mais les expériences dans la méditation sont multiples et quasi infini car le méditant s’ouvre au vide sans intention et voyage là où le vide l’attire. Le terme de vide dans la psychologie occidentale – et j’insiste sur « occidentale » – est généralement associé à toute une terminologie négative avec des mots comme ennui, manque, absence, dont découle la tristesse, la mélancolie, etc. C’est une grave confusion à laquelle est en proie notre psychologie, car elle confond deux notions différentes : le vide et le néant. 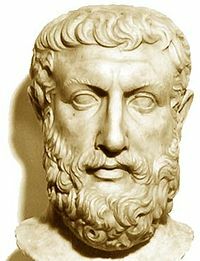 Dans notre histoire occidentale de la pensée, le grec Parménide a été le premier à concevoir le concept de néant. Selon une logique imparable, il déclare que s’il existe l’être, il existe donc son opposé, le non-être. En d’autres termes, s’il existe quelque chose, il doit également exister son opposé également. L’inverse de l’existence c’est le néant. Chez les chinois la notion de néant n’existe pas. Pour l’esprit chinois, l’idée même de néant est inconcevable. On le voit par exemple dans le caractère classique désignant le chiffre zéro. Tout d’abord ce chiffre est arrivé relativement tard dans l’histoire de l’empire du milieu, plus ou moins avec l’introduction du Bouddhisme indien, car les indiens possédaient également la notion de néant. Quand on l’étudie, ce caractère est un cauchemar pour les étudiants car il comporte un grand nombre de traits à tracer. Pourquoi autant de traits ? Parce que le caractère qui signifie littéralement « l’espace vide qui se trouve entre les gouttelettes de pluie », ce qui ne veut pas dire « rien » ou néant, mais bien « espace vide contenant un petit quelque chose ». Ce petit quelque chose va permettre la création d’un peu plus, et ainsi du zéro on pourra passer au chiffre un. Cette différence de conception entre orient et occident explique que dans la psychologie occidentale nous avons donc tendance à confondre vide et néant. Pour un occidental, un espace vide peut être angoissant puisqu’il n’y a plus rien. Le silence peut être ennuyant. C’est pourquoi on chasse régulièrement de sa vie tous les moments de calme ou alors on s’affale dans un canapé et met de la musique pour combler le silence. Mais le vide c’est non seulement les espaces vides qui permettent le fonctionnement des objets et le mouvement de la vie, mais aussi les moments de silence et donc de calme. Grâce au silence, nous pouvons enfin entendre notre dimension intérieure. En méditation, mais pas seulement, nous reconnaissons que l’être humain est composé d’abord d’un corps, puis d’un mental (fabriqué par notre cerveau). La question que découvre tout méditant lorsqu’il s’observe en train de penser (action du mental) est la suivante : si je peux observer mes pensées, alors qui observe ? Il découvre alors qu’il possède aussi une conscience, ou un esprit ou une âme, quel que soit le nom qu’on veut bien lui donner. Sans silence, pas de calme. Sans calme intérieur et extérieur, pas de prise de conscience qu’il existe une présence intérieure. Une fois que celle-ci est contactée, puis utilisée, nous pouvons l’écouter et même converser avec elle. Ce que nous appelons généralement « instinct » est en fait un système de pensée intérieur tout à fait organisé. Il faut donc créer du vide mental pour entendre sa conscience. C’est là tout l’art de la méditation. Arrivé à ce stade précis, vous n’êtes plus jamais seul dans la vie. Non seulement vous écoutez et conversez à trois (corps-mental-esprit) lorsque vous êtes seul, mais vous passez à six dès que vous rencontrez une seconde personne. Le monde se peuple très vite à ce rythme-là. La solitude devient donc une notion sans aucun sens. Vous n’êtes plus seul non plus lorsque vous vous apercevez que l’esprit peut communiquer en permanence dans les espaces vides, et ce, quel que soit les distances qui vous séparent des autres. Seul chez vous, vous pouvez étendre votre conscience au-delà des murs de votre appartement ou maison et vous rappeler (puis entendre ou ressentir) que vous avez des voisins. Tout comme l’océan porte loin les sons, le vide porte loin les vibrations de tout ce qui vibre. Or, tout ce qui est vivant vibre d’une manière ou d’une autre. Par conséquence, dès qu’il y a du vide, vous êtes entouré en permanence de vibrations de toutes sortes venant des humains, des animaux, des plantes et des éléments (vent, terre, eau…). Pour résumer, dès qu’il y a du vide, vous êtes dans le plein, donc jamais seul. L’idée que le néant est un enfer parce qu’il n’y a rien ne tient donc pas la route. Le néant ne peut pas être le vide. Il s’agit juste d’un concept intellectuel, donc d’une fabrication du mental. L’enfer en réalité c’est plutôt le plein. Si votre tête est pleine de pensées, vous n’arriverez probablement plus à dormir. Les praticiens de shiatsu sont des spécialistes pour gérer les insomnies. La première chose qu’ils font, c’est de vide la tête et de calmer l’esprit. Rien qu’avec cela, 50% des insomnies se règlent d’elles-mêmes. Si vous êtes à un concert ou à un dans un stade de foot au milieu de 20.000 personnes, la première chose que vous cherchez à faire en rentrant chez vous, c’est de revenir au calme, de vous isoler pour pouvoir vous retrouver. En d’autres mots, vous cherchez le calme pour pouvoir vous recentrer sur vous-même. En d’autres mots encore, vous revenez au vide pour évacuer le plein. Et il en va ainsi pour toutes choses. Dans votre vie si vous avez déjà changé de travail, vous aurez remarqué que le plus difficile est d’apprendre un nouveau métier sans se référer à ce que l’on sait déjà. Le réflexe est de vouloir tout comparer et modifier ce que l’on essaye de vous apprendre. Mais ce n’est pas ainsi que vous allez y arriver. On retrouve cette situation dans les dojos lorsqu’un élève vient d’une autre discipline. Le plus dur pour lui est d’accepter de redémarrer à zéro. C’est le fameux esprit du débutant qui s’exprime à travers le terme « mushin » qui littéralement voudrait dire « sans cœur ». Mais pour le chinois comme pour les japonais, le terme cœur veut également dire « esprit ». On comprend alors que mushin signifie « sans esprit » ou plus exactement « esprit vide ». Dans le zen on parle plutôt de « vider le bol » pour laisser la place à un nouvel apprentissage. Or comment pouvez-vous remplir votre « bol » (tête, cerveau), si vous n’acceptez pas de le vider au préalable ? Qu’est qu’un bol vide ? C’est un objet qui a le potentiel de se remplir indifféremment de soupe, de légumes, de riz ou de muesli pour le petit déjeuner par exemple. C’est la raison pour laquelle le vide est la notion clé de tous les arts liés à la pensée chinoise comme les arts martiaux, la danse, la peinture, la poésie, etc. Une page blanche a le potentiel de recevoir n’importe quel texte ou dessin. Un scène vide a le potentiel de recevoir n’importe quelle performance de théâtre, de danse, de chant ou d’opéra, et ainsi de suite. 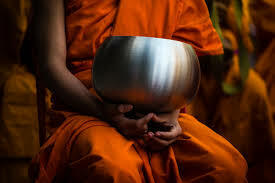 Le vide, le silence, le calme permettent donc d’avoir du potentiel. Et comme un muscle qui se travaille régulièrement pour augmenter sa force, le vide se travaille lui aussi pour permettre d’augmenter son potentiel. Pensez à la situation suivante : vous sortez du travail, courrez chercher les enfants, faites trois courses avant de confier le tout à la baby-sitter pour venir tout transpirant et stressé au cours de karaté, judo ou de n’importe quel art martial. Votre esprit encore tout agité et plein de ce qui l’encombre ne verra pas venir les coups de l’adversaire et vous serez rapidement projeté au sol ou mis hors combat. C’est la raison pour laquelle il est indispensable non seulement de s’échauffer pour augmenter la circulation de l’énergie dans le corps mais aussi de méditer pour augmenter le potentiel de votre esprit, c’est-à-dire en faisant le vide, et lui permettre de recevoir toutes les informations utiles ici et maintenant. Car c’est en vidant l’esprit que vous pourrez réagir instantanément à toutes les situations provoquées par votre partenaire. Pendant longtemps la croyance était que l’être humain utilisait moins de 10% de ses capacités mentales. On se prêtait alors à rêver de ce que l’on pourrait réaliser avec les 90% restant. Mais depuis l’invention de l’IRM fonctionnel, la science a pu démontrer que nous utilisons en permanence bien plus que ce que nous pensions. Si vous prenez un spécialiste qui se concentre sur son sujet de prédilection, celui-ci tourne en moyenne à 80% de ses capacités mentales. En revanche, un IRMf effectué sur un moine avec au moins 10.000 heures de méditation derrière-lui, montre des capacités qui augmentent dès qu’il entre en méditation. Ce dernier atteint alors une moyenne de 90% de ses capacités mentales. Autrement dit, la science a prouvé que faire le vide permet d’augmenter sa capacité mentale et aide le cerveau à explorer le maximum de réseaux neuronaux pour être prêt à répondre à tout ce qui peut survenir et traiter ainsi efficacement l’information en lui apportant une réponse rapide grâce à toute sa puissance nouvellement acquise. En conclusion, plus on fait de vide intérieur plus on permet au cerveau de fonctionner de manière optimale. La lecture des grands esprits de notre histoire est passionnante à plus d’un titre. Mais c’est surtout lorsque ceux-ci racontent leur création que tout s’éclaire. Beethoven prenait son inspiration et composait ses grandes œuvres lors de longues promenades dans la campagne. Einstein a trouvé sa célèbre formule E=MC² au réveil d’une bonne sieste. Et il en va ainsi de quasiment tous les génies et inventeurs. C’est au moment où ils ont fait le vide que les idées les plus importantes sont arrivées à leur cerveau. Ou plus exactement, c’est au moment où grâce au vide du mental, que l’esprit intérieur a pu s’exprimer pour communiquer des idées au mental. C’est pourquoi il faut toujours arrêter de travailler et de réfléchir pour trouver la solution à un problème car tant que la tête est pleine, elle ne peut recevoir de nouvelles idées. Idem pour les étudiants qui font des révisions. Le meilleur conseil que vous pouvez leur donner est de ne pas ouvrir tout de suite leurs livres, mais de méditer et respirer paisiblement avant de passer à l’apprentissage ou à la mémorisation. C’est d’ailleurs la raison du succès de la méditation à l’école en Angleterre, au Canada ou aux USA. En très peu de temps le niveau des élèves de ces établissements scolaires monte rapidement, même dans les banlieues difficiles. Leur potentiel d’apprentissage est augmenté grâce au calme que la méditation leur apporte. La méditation est une source sans fin d’apprentissage. 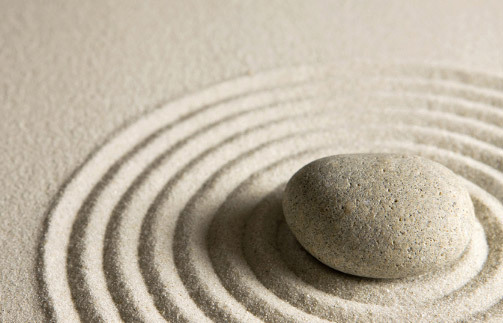 Depuis le Dhyana indien et jusqu’au Zen japonais en passant par le Chan chinois (qui sont toutes des traductions du mot « méditation »), une notion primordiale ressort au premier plan : le vide. Pour le méditant, le vide est l’alpha et l’oméga de cette discipline interne. Qui n’a pas entendu un professeur de méditation demander à ses élèves de « faire le vide », ce qui est déjà en soi une jolie contradiction, car comment « faire du vide » ? Prenez une théière. C’est une théière japonaise en fonte noire, avec une belle anse et son petit chapeau pour ne pas laisser s’échapper la vapeur. Regardez-la jusqu’à incruster son image sur votre rétine et demandez-vous ce qui permet à cet objet de fonctionner. La plupart des débutants vous répondront toutes sortes de choses ayant trait à l’objet lui-même comme sa stabilité, sa résistance, sa capacité à conserver la chaleur, le bec verseur bien pensé, etc. En réalité, ce qui fait que l’objet est utile c’est le vide qu’il contient. La plupart de nos objets sont ainsi : ils sont fonctionnels grâce à la présence du vide. Toutes les boîtes du monde, en carton ou en métal, peuvent être utilisées grâce au vide intérieur qu’elles possèdent. Une voiture est utile parce qu’elle est vide et permet d’y mettre des passagers, de même qu’un placard, une commode ou un tiroir pour les vêtements. La pièce où les gens se réunissent pour pratiquer le shiatsu, un budo ou la méditation est un temple dédié au vide. Sans l’espace vide intérieur que représente un dojo, pas moyen de s’exercer en y mettant un groupe de personnes passionnées. Même un stylo devient fonctionnel non pas parce qu’il est plein d’encre, mais parce qu’il se vide de son encre sur le papier. Le stylo est un bon méditant, car il « fait le vide ». Voir les objets sous cet angle change le regarde que nous portons sur notre vie matérielle. Ce ne sont donc pas des objets que nous possédons, mais des espaces vides – ou la capacité à les vider – qui permet leur utilisation. Le pratiquant de iaïdo par exemple, ne fait pas autre chose. On peut voir le sabre comme un objet plein et bien dense. Pas de vide dans un sabre. Pourtant, la première chose qu’il fait est de vider son fourreau pour que le sabre puisse exister, se révéler. Ensuite, il peut manipuler sa lame grâce au vide qui existe autour de lui, sans quoi ses mouvements seraient impossibles. En iaïdo le pratiquant coupe essentiellement du vide tout autour de lui, ce qui permet à son objet de devenir à la fois l’outil de sa progression et le lien qui le relie au vide, lui permettant peu à peu de vaincre son envie primaire de couper quelque chose ou quelqu’un. D’ailleurs bien souvent le professeur corrige le débutant qui se penche en avant en lui demandant ce qu’il cherche à couper, puisque devant lui il n’y a que du vide ou… ses fantasmes et ce que son imagination produit devant ses yeux. La notion de vide n’est donc pas uniquement une idée philosophique, mais bien la capacité concrète à interagir avec le monde à travers nos objets. A priori, nous voyons les objets comme étant pleins, alors qu’en réalité c’est le vide dedans ou autour qui permet de les utiliser. 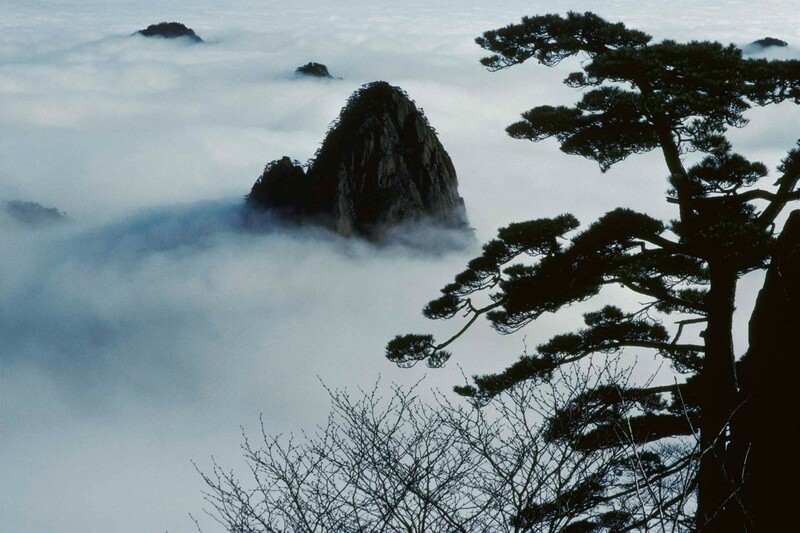 Ce changement du regard du plein vers le vide n’est pas sans rappeler les inversions de pensée, de situation, d’énergie qui sont propres à la pensée orientale, chinoise en particulier. 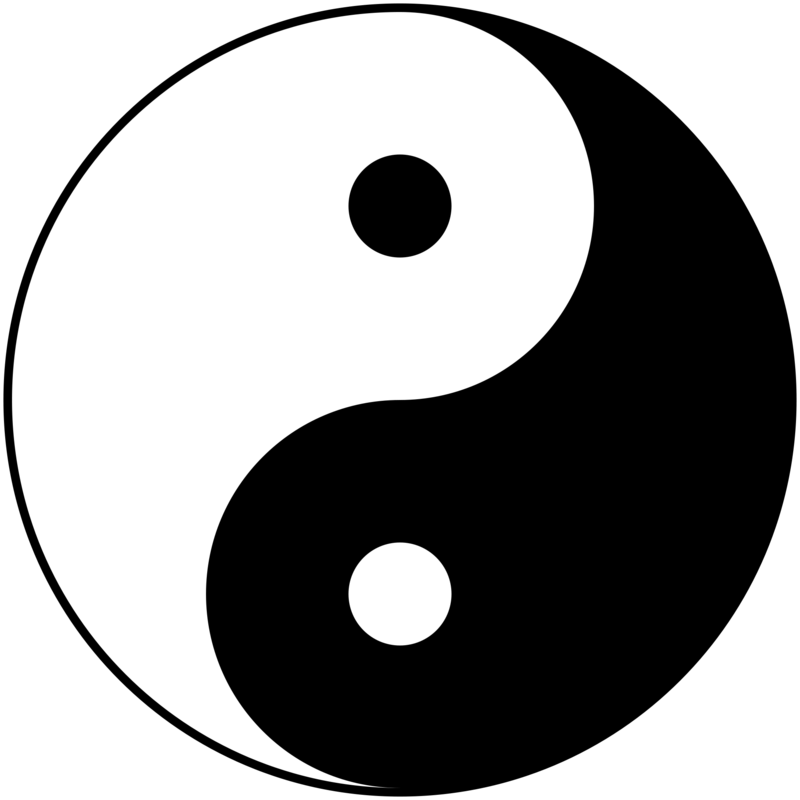 Le fameux symbole du Yin et du Yang, le Tao, est si populaire aujourd’hui qu’on le retrouve dans tous les coins du monde. Il exprime les deux forces primordiales de l’univers qui s’attirent et se pourchassent inlassablement. À peu près n’importe qui est capable de vous expliquer que le noir et le blanc du Tao sont des opposés complémentaires, comme le sont le jour et la nuit, l’ombre et la lumière, le féminin et le masculin. De plus, les plus attentifs ont compris également que la petite tache de couleur opposée au sein de la couleur dominante permet de dire que le germe du Yin et dans le Yang et que le germe du Yang est dans le Yin, ce qui explique à la fois leur interdépendance et leur capacité à se transformer du Yin au Yang et inversement. Mais là encore, cette explication revient à regarder la théière et à oublier de dépasser les apparences. 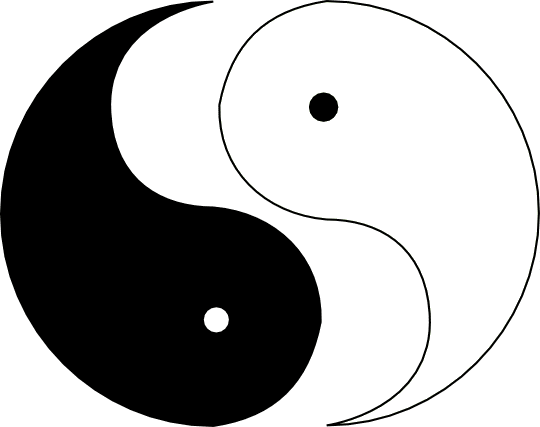 Pour les initiés, ce qui est vraiment intéressant dans le symbole du Tao est la ligne médiane qui sépare le Yin du Yang. Si vous effacez les couleurs blanches et noires (au passage le noir et le blanc ne sont pas des couleurs, mais la fusion de toutes les couleurs dans la lumière et dans la matière) vous obtenez un simple trait noir qui ondule joliment à la manière d’un grand S étiré. En d’autres termes, ce S dessiné d’un trait noir montre la jonction entre les deux parties du Tao. Il montre surtout que ce trait d’union est plein, ce qui revient à dire que ce qui est plein divise deux parties opposées lorsqu’elles se rencontrent. Pour comprendre cette phrase, prenons deux pratiquants d’aïkido qui se se rencontrent. La ligne des corps vient en contact l’une avec l’autre et on peut la voir comme étant pleine. Cette rencontre (De-aï) ne dure généralement pas longtemps, car dès que la ligne devient pleine, les deux protagonistes vont inverser le processus et se repousser, se projeter. La notion de De-aï devient alors le moment précis où le Yin et le Yang s’inversent et le processus d’attirance des deux protagonistes devient un processus de rejet. La question qui surgit alors est : comment s’est créée l’attirance ? 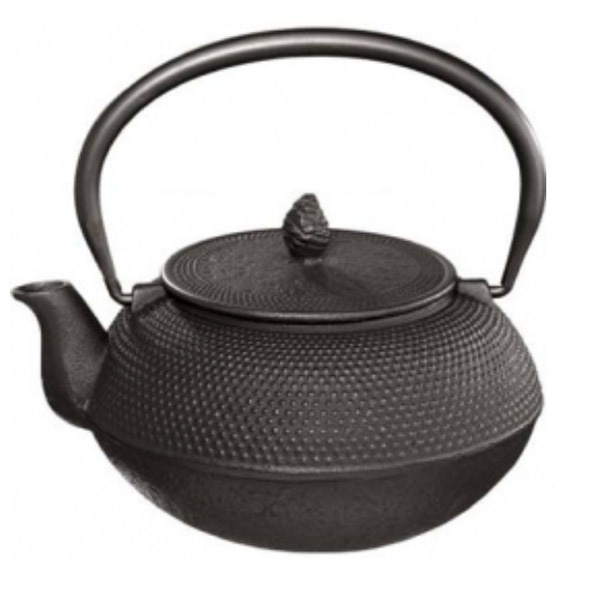 Reprenons le symbole du Tao. Écartez maintenant les deux parties Yin et Yang. Le trait plein de tout à l’heure devient alors un espace vide et c’est là tout le secret du symbole. La ligne qui sépare le Yin du Yang est en fait du vide. Mieux encore, ce vide permet de maintenir la cohésion de ses deux parties, comme une sorte de superglue. Avant de jeter l’éponge à la lecture de cet article, suivez tranquillement le raisonnement des anciens Chinois, que je vais vous expliquer avec un langage plus contemporain. Imaginons qu’au point de contact entre deux wagons, vous mettiez de la colle. Exercez deux forces motrices dans les directions opposées et vous arriverez à les séparer ; la colle va céder. Utilisez maintenant des aimants. La force de cohésion magnétique sera plus forte que celle d’une matière aussi collante soit-elle, mais il ne sera pas impossible de les séparer avec une force motrice plus grande. Mais si entre les deux trains vous créez un vide d’air, que se passerait-il ? Rien dans l’univers ne pourra pas les séparer. Pourquoi ? Parce que l’on ne peut pas diviser ce qui n’existe pas. Le vide est donc la force qui donne la plus grande cohésion aux choses. C’est ainsi que le vide attire les opposés complémentaires, afin de les « coller » entre eux. S’il y a attirance grâce au vide, alors il y a répulsion grâce au plein. Ces deux aspects antagonistes sont générateurs de mouvement, mouvement qui est le propre de la vie et que représente parfaitement le symbole du Tao. Ce mouvement est d’abord binaire. Un pôle négatif attire un pôle positif, tout comme la femme attire l’homme par exemple. Ce mouvement de va-et-vient entre deux opposés se retrouve dans tous les arts martiaux. Deux protagonistes se retrouvent face à face. Tant qu’ils expriment une garde, ils définissent une ligne pleine qui n’incite pas l’adversaire à attaquer. Celui-ci se méfie, sent que l’autre est plein, prêt à combattre ; cela ne l’attire pas. En revanche, dès qu’un des protagonistes baisse sa garde, il créé un vide et l’autre va chercher à s’engouffrer dans cette brèche pour lancer son attaque. La ruse est vieille comme les arts martiaux. Il suffit de montrer plus ou moins ostensiblement qu’il existe une faille dans la défense pour que l’adversaire cherche à utiliser cette occasion. Il est irrésistiblement attiré avec l’idée de la victoire lors de la rencontre. Mais si ce vide est créé de toutes pièces par l’un des combattants, la ruse se transforme en piège et De-aï (la rencontre) se retourne instantanément, l’attaquant devenant l’attaqué. Ce mouvement est, comme dit plus haut, le principe même de la vie. Si l’on reprend une fois de plus notre théière, son vide intérieur n’aspire qu’à une chose ; être rempli d’eau chaude. Et pourquoi ? Pour qu’on puisse la vider, avec son eau riche de tous les arômes du thé… pour mieux la remplir une prochaine fois. Vide et plein se succèdent ainsi créant le mouvement du Yin et du Yang. 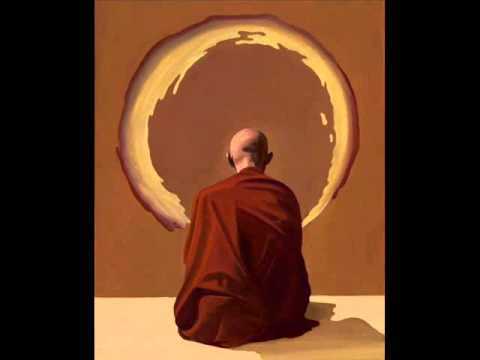 Le Yin (vide) accueille et transforme tandis que le Yang (plein) circule et transporte. Par exemple, la nuit l’humidité se condense et tombe sur la terre et ses plantes pour les nourrir, tandis que le jour cette même humidité s’évapore des plantes pour circuler plus loin. Pour comprendre cela, il suffit de penser encore une fois au couple. L’homme rencontre la femme, puis de leur union naît un enfant. En grandissant celui-ci va à son tour chercher son opposé complémentaire et créer un autre enfant, et ainsi de suite jusqu’à la fin des temps. Ce principe fonctionne tellement bien que la terre est désormais terriblement peuplée d’êtres humains. Ce mouvement en trois temps est utile là aussi pour regarder autrement les situations qui nous arrivent. Il permet tout d’abord de nuancer la pensée à l’infini. Au lieu de tout voir en noir ou blanc, le méditant comprend qu’il existe des milliers de variations de gris. Si toute rencontre est créatrice d’un troisième élément, mieux vaut également ne pas juger tout de suite et à l’emporte-pièce. Prendre le temps d’observer une situation et son développement permet de ne pas se tromper pour se faire un avis, tout en laissant la vie suivre son mouvement sans chercher à le bloquer. L’aïkido est là encore une bonne source d’observation. Plutôt que de chercher à bloquer l’adversaire d’entrée de jeu, le pratiquant accepte de le laisser venir. De plus, plutôt que de chercher à le détruire, la technique va tenter de le réduire, de l’immobiliser temporairement le temps que l’agressivité se disperse, c’est-à-dire en complétant l’agression de type Yang par une phase immobile de type Yin. Ainsi, le pratiquant laisse la chance à l’agresseur de se transformer et de repartir dans le mouvement de la vie. Peut-être qu’ainsi naîtra un grand respect entre les deux personnes et pourquoi pas une belle amitié, alors qu’au départ tout les sépare et les oppose. Mais cette séparation, ce vide entre deux personnes est, comme nous l’avons vu, le moyen le plus sûr de les unir dans une rencontre plus ou moins violente. Vous allez penser que si l’on revient à une histoire de Yin et de Yang, pourquoi alors parler plutôt du vide que du plein ? La réponse tient en ceci : le vide Yin est la base sur laquelle le plein Yang peut se créer et se développer. Sans cette base il n’y a pas d’énergie suffisante pour initier le mouvement. Pensez à un barrage. Si vous soulevez les vannes pour faire circuler l’eau et irriguer des champs, il faut au préalable qu’il y ait de l’eau dans votre barrage, sinon votre action ne sert à rien. En shiatsu, dans les cas de fatigue importants, le praticien apprend à ne pas stimuler les méridiens Yang pour les mêmes raisons. Pourquoi chercher à faire circuler de l’énergie, s’il n’y en a pas à la base ? Il faut donc reconstituer des réserves de Ki, que l’on compare volontiers à un fluide, comme l’eau. Et où peut se stocker l’eau ? Dans les creux, dans les espaces vides. 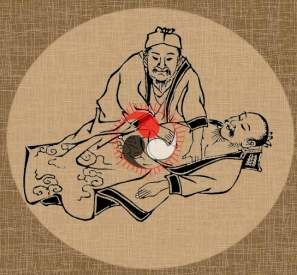 C’est pourquoi tous les méridiens et les points d’acupuncture sont généralement dans les zones creuses du corps humain. Comme on l’a vu précédemment, le vide est le meilleur moyen pour créer de l’attirance entre les gens. C’est pourquoi les méditants cherchent en premier lieu – et tout au long de leur vie – à « faire le vide » à l’intérieur d’eux-même. Ainsi, ils pourront attirer à eux tous les opposés et faire l’expérience de la plénitude. Dans le prochain article, nous verrons pourquoi ce vide est si problématique pour les occidentaux et les confusions qui tournent autour de cette notion. La pleine conscience n’est pas une forme de méditation. C’est une partie de la méditation, un outil parmi d’autres. Mais sortie de son contexte, édulcorée et modernisée pour les besoins des Occidentaux, elle fait l’objet d’un enseignement populaire de plus en plus suspect. Cette approche de l’esprit, hélas fréquente, n’apporte pas grand-chose à part un peu de détente et de reconnexion avec son corps. C’est mieux que rien certes, mais pourquoi se satisfaire du minimum ? Jon Kabat-Zinn est un professeur en médecine. Il bénéficie donc automatiquement de l’image de sérieux qui va avec ce métier. Mais pourquoi un médecin connaîtrait-il mieux la méditation qu’un moine bouddhiste et serait plus convainquant ? Mystère. Le fait que ce soit un Occidental, cela encourage le public occidental. Le concept de Mindfullness a été testé scientifiquement : l’avantage d’être médecin c’est de pouvoir tester sa pratique en milieu hospitalier et à l’aune de critères scientifiques qui ne sont pas de mise dans le milieu de la méditation. Cela rassure et les effets sont bien documentés. La question est : pourquoi avoir nié le travail des moines et des ascètes dans ce sens depuis au moins 4000 ans ? Les chiffres, les statistiques, bref tout ce qui est virtuel, cela rassurent les Occidentaux. La méthode utilisée est cadrée dans le temps : partout on entend parler de formation à la Mindfullness grâce à un cycle de 8 semaines. Parfait, 8 semaines intensives me paraissent déjà une base bien solide. Sauf qu’il s’agit d’un cours par semaine. Ce n’est pas tout à fait la même chose. Du coup les gens s’imaginent qu’ils vont savoir méditer en 8 semaines à raison d’un cours semaine. Le temps, cela rassure, car cela donne l’impression qu’après cela le travail est fini et on pourra passer à une occupation. La méthode enseignée est facile : on peut même dire qu’elle est adaptée aux Occidentaux. On s’allonge, on écoute de la musique, on fait des body scans, on note et on réfléchit aux concepts d’être présent à son corps, etc. Cette méthode donne surtout la part belle à la réflexion, et le mental, on connaît bien. À cela, vous pouvez désormais ajouter toutes les dérives qui permettent de faciliter l’apprentissage, jusqu’à l’enseignant quasi absent qui préfère mettre des CD à la place de sa présence et de ses mots. (lire Mindfullness is not meditation). Face à ce phénomène de « paupérisation intellectuelle et technique » de la méditation, on peut comprendre l’énervement (calme) de moines comme Matthieu Ricard (qui est un scientifique) qui rappelle dans son dernier livre[i] que la méditation est un chemin personnel gigantesque et dont l’un des buts les plus hauts est l’amour universel (altruisme). Ce qu’il y a de vexant dans la Mindfulness à la sauce populaire, c’est que l’on a l’impression que les Occidentaux n’arriveront jamais à comprendre ce qu’est la méditation et qu’il leur faut un ersatz, capable de les contenter rapidement. Cela revient à dire que l’on fournit une forme de méditation pour les nuls, adaptée aux critères de temps réduit et de consommation à outrance auxquels ils sont malheureusement habitués. Il faut surtout comprendre que derrière tout ça il existe un business tout à fait lucratif. La plupart des formations de Mindfulness en 8 semaines ont un coût à l’heure qui revient entre 20 et 35€ de l’heure. Une heure avec un groupe de 10 personnes et vous avez réalisé une bonne journée de travail. Cette monétarisation ne s’arrête pas là puisque les applications pour smartphones pullulent, presque toutes sont payantes. Que font ces applications ? En gros, elles vous sonnent pour vous dire de respirer. Quelle tristesse d’en arriver là pour une technique qui ne demande que de s’arrêter un peu dans une journée et de respirer tranquillement, activité entièrement gratuite. Alors, pourquoi payer pour de l’air ? La méditation est simplement une technique de relaxation. Évidemment, tout cela est faux et je vous laisse le plaisir de découvrir dans son livre ses arguments pour dénoncer ces croyances. À cette liste j’ajoute mes propres remarques issues d’années de pratique et d’enseignement. La méditation ne se pratique JAMAIS allongé. Lorsqu’on s’allonge, on est programmé pour s’endormir ou se relâcher. Or le but de la méditation n’est pas de se relâcher, mais d’augmenter le niveau de conscience par une vigilance fine et sans faille. La relaxation est le chemin inverse de la méditation, même si à un moment donné de la pratique méditative on atteint un état de grande relaxation physique et psychique. Cela ne veut pas dire que la relaxation est mauvaise, bien au contraire. Dans le monde occidental, la plupart des gens en ont un grand besoin. Mais la relaxation allongée n’est pas la méditation. Conclusion, la méditation allongée n’existe tout simplement pas. Assis, debout, en marche oui, mais pas allongé. Il y a des raisons pratiques à cela qui pourraient faire l’objet d’un bel article. La méditation n’est pas un hobby, un passe-temps ou un sport cérébral. C’est une Voie. Cela revient à dire que – comme toutes les voies artistiques, martiales ou autres – c’est le chemin d’une vie entière de pratique ou rien n’est acquis d’avance sans un travail personnel régulier et où rien ne survient rapidement. À la question « au bout de combien de temps le dos ne fait-il plus mal et quand s’arrête les pensées », je réponds « 1 an minimum pour le dos, 5 à 6 au minimum pour calmer les pensées. Mais calmer ne veut pas dire arrêter ». Comme ça, pas de faux espoirs et pas de précipitation non plus. La méditation n’utilise pas de musique. Des chants sacrés parfois, une voix qui guide parfois ou des supports visuels tels une bougie allumée, mais pas de musique. À l’écoute d’une musique, le cerveau se laisse bercer, divague, imagine, mais ne fait pas « l’effort de ne rien faire ». Cela revient à laisser le mental en contrôle – même s’il est en mode récréatif dans ce cas-là – du corps et de l’esprit. C’est justement l’un des grands combats de la méditation que de calmer le mental et de le faire cesser de bavarder ou d’évoquer des images. La méditation apprend à ne rien faire de concret. Toute notre vie nous sommes éduqués à faire, encore faire et faire toujours plus. Depuis les premiers pas jusqu’à la maîtrise de l’être social, professionnel, familial et amoureux que vous êtes, vous avez appris des milliers de choses à faire, et enregistré des millions de données. La méditation vous enseigne une seule chose : ne rien faire. Comme cela ne vous est jamais arrivé, ce sera la chose la plus difficile à apprendre de toute votre vie. Votre mental fera tout ce qui est en son pouvoir pour vous empêcher de ne rien faire. Vous allez découvrir un monde inimaginable jusqu’alors. La méditation n’est pas un acte égoïste qui isole. Bien au contraire. Certes, il faut un travail sur soi de plusieurs années pour arriver à ne rien faire de concret et du point de vue du monde productiviste, cela paraît proprement indécent. Vu de l’intérieur toutefois, il se passe constamment des choses pendant ce travail de calme. Plus les pratiquants avancent, plus ils se découvrent de l’intérieur. Plus ils se découvrent, plus ils comprennent qu’ils sont comme tout le monde. Mieux, ils sont reliés à tout le monde et au Monde dans sa globalité. Du coup, ce sont des êtres souvent sociaux, joyeux, calmes, agréable à la conversation. Ils travaillent toujours, subissent des émotions et des tracas, comme tout le monde, mais ils abordent tout cela différemment. À ceux qui traitent les méditant de feignants et de parasites de la société, j’applaudis bien fort : vive les feignants qui ne font pas la guerre, n’ennuient pas leur prochain, ne travaillent pas pour brasser du papier et de la vanité, ne polluent pas, respectent la vie sous toutes ses formes, écoutent plus qu’ils ne font du bruit, ne jugent pas, ne détruisent pas l’environnement, n’accusent personne de leurs propres maux, mais cherchent à les régler de l’intérieur. Qu’est-ce que la pleine conscience alors ? Il existe de nombreuses formes de méditation à travers le monde. Les formes originelles indiennes, tibétaines, chinoises ou autres ont l’avantage de l’expérience de plusieurs millénaires. Cette science[iii] extrêmement riche et sophistiquée de la connaissance de l’être humain par lui-même regroupe un bon nombre de grands thèmes. L’un de ces thèmes parmi d’autres est la pleine conscience. Tout comme la pratique se base sur la respiration depuis le début et jusqu’à la fin, la pleine conscience est l’une des clés de voûte de la méditation. Mais ce n’est pas la seule, loin de là. La pleine conscience permet à l’individu de prendre conscience de son corps, puis de sa respiration, puis des systèmes physiologiques et automatiques du corps. Arrive le moment où le méditant prend conscience de ses pensées, du fonctionnement de son mental, de ses peurs, de ses désirs, des processus émotionnels, bref de sa psyché, de la manière dont elle est construite, de ses croyances, de ses illusions. C’est donc un fil directeur plus qu’une étape à franchir. La pleine conscience est là du début jusqu’à la fin, mais elle ne constitue pas en soi la méditation dans son ensemble. Si c’était le cas, la critique comme quoi cela enfermerait mentalement les pratiquants et les isolerait du monde serait justifiée. La méditation en pleine conscience serait uniquement l’art de développer des personnes hyper conscientes d’elles-mêmes, mais complètement centrées sur leur nombril. Rappelons que parmi les conséquences de la méditation on trouve l’altruisme, l’amour universel, la transcendance, le dépassement de soi, la libération de tous nos conditionnements, y compris ceux de la chair et du mental. À un autre niveau, du moins celui que je suis capable d’appréhender pour l’instant, la pleine conscience est celle des mouvements de la vie, des cycles de la nature et du temps humain. Le pratiquant devient alors une conscience qui ressent et comprend intuitivement tous ces mouvements qui nous traversent, les accepte (par exemple, pourquoi lutter contre le temps qui passe ? ), reste au croisement et conserve une grande lucidité sur ces mouvements qui nous dépassent. C’est un état étrange et agréable à la fois où l’on est là immobile, à ressentir les mouvements internes et externes au corps. Cela permet aussi de choisir son chemin sans regret ni se tromper de beaucoup, choisir sans inquiétude, sans peur de l’avenir et sans porter le passé comme un fardeau. Ce niveau de conscience est un bon point d’entrée – à mon humble avis – pour aborder ce que l’on nomme la pleine conscience. Et je devine des niveaux de conscience encore plus « pleine » au-delà de ça. En étant courageux, têtu, discipliné et bien encadré. Bonne pratique ! Dans la pratique martiale, tout comme dans la méditation ou les arts de soins, tous les pratiquants ont déjà entendu au moins une fois leur professeur dire « ici et maintenant ». Cette déclaration permet de réaliser n’importe quelle action avec une grande qualité. Toutefois, cette notion ô combien capitale reste floue pour la plupart des gens. Essayons d’y voir un peu plus clair. Le temps est quelque chose après lequel la plupart d’entre nous sommes en train de courir. « Je te rappelle, mais là je n’ai pas le temps ». « Il me faut finir ce travail avant telle heure ». « Vite, vite, je vais être en retard », et ainsi de suite. Ces phrases, nous les avons toutes prononcées au moins une fois dans notre vie, et nous courrons après ce temps qui file. Mais pourquoi file-t-il si vite d’ailleurs, ce n’est pas pratique. Arrêtons-nous deux secondes pour réfléchir à ce qu’est le temps. Tout d’abord, le temps a commencé à exister avec le découpage des cycles naturels. Le premier est le plus simple à observer fut celui de la lune. C’est la raison pour laquelle les premiers calendriers au monde furent lunaires avant d’être solaires. L’avantage de la lune c’est que l’on peut facilement la voir et constater les changements des croissants de soleil et d’ombre portée de la terre à sa surface. Au bout d’un cycle lunaire, ça recommence. Voilà qui est très pratique pour mesure le temps. Au bout de 12 cycles environ, force est de constater aussi que l’on est revenu à la même saison, ce qui permet d’évaluer une année, qui elle-même correspond à une révolution solaire. Chaque cycle lunaire comporte une moyenne de 29/30 jours. Mais combien fait un jour ? Le jour c’est l’intervalle qui sépare deux levers de soleil (ou deux couchers ou deux midis, peu importe). On le calcule en 24 heures ou deux fois 12 heures. Au passage, alors que le bon sens commun aura tendance à utiliser des divisions par 10 pour faciliter le calcul, on peut s’étonner que le jour soit divisé par tranches de 12. Cela nous vient des Mésopotamiens (Babyloniens et Sumériens) qui adoraient le chiffre 12. Ils mesuraient tout ainsi, la coudée, la surface, le poids, le zodiaque céleste, absolument tout. Du coup, le jour fut divisé en multiple de 12. Nous voilà avec des heures, mais pour être plus précis, il fallait diviser une heure en unités plus petites. Là, les Mésopotamiens sont revenus à la base de leur calcul, le bon sens faisant loi. Sauf que leur système de comptabilité de base était sexagésimal (par 60), ce qui est loin d’être évident pour nous aujourd’hui. Conclusion, nous voilà avec 60 minutes, elles-mêmes divisées en 60 secondes. Système de 12, puis système de 60, bon pourquoi pas. Là où cette histoire de temps devient amusante, c’est qu’entre les mois et les jours, il manquait une unité intermédiaire. Voilà la semaine qui se profile, avec ses 7 jours, car cela correspond plus ou moins à un quartier de lune. Le problème est que le nombre de jours dans une révolution solaire est de 365. Comme ce n’est pas un chiffre compatible avec des divisions par 7, 12 ou 60, il a fallu adapter le nombre de jours par mois et le faire varier arbitrairement d’un mois à l’autre. Sauf, que tout cela ne tient pas la route, vu qu’en fait une année dure 365, 2425 jours. Du coup, tous les 4 ans on rajoute un jour. Ouf, nous voilà rassurés et cette fois le temps est bel et bien ordonné. Vraiment ? C’est oublier un peu vite que l’univers est en expansion permanente et que l’écart entre les planètes se creuse chaque année un peu plus. Les révolutions se font donc chaque année un peu plus longue. Du coup, pour que le système du temps tienne en place, les astronomes et les « maîtres du temps » bricolent les horloges de référence pour ajouter quelques poussières de temps en plus. Imaginons qu’en plus demain nous colonisons une autre planète, et il faudra réinventer une autre notion de temps pour gérer ladite planète. Tout ce propos pour quoi ? Pour dire que le temps n’est qu’une construction du mental, surtout dans sa vision linéaire où le temps coulerait d’un futur vers un passé. De plus, c’est un énorme bricolage qui, on l’a vu, n’a pas beaucoup de sens en soi. Enfin, il est changement permanent, donc ce n’est pas une vérité intemporelle. Le seul temps que nous expérimentons concrètement et de façon efficace est le présent. Le méditant est rapidement familiarisé avec le fait que le passé n’est qu’un souvenir (construction du mental) et que le futur n’est que de l’imagination (construction du mental), aussi pourquoi s’en préoccuper. En effet, l’un n’existe plus et l’autre n’existe pas encore. Seul le présent, le fait de vivre chaque instant, avec une conscience accrue de celui-ci, est intéressant. Ainsi, l’esprit ne vagabonde pas et reste dans le « maintenant ». Si l’on s’accroche tellement au passé et au présent, c’est avant tout parce que l’homme a peur de sa propre fin. La mort oblige tout un chacun à se dire que les années passent vite, filent comme le vent, et ainsi de suite. Notre grande passion (avec la météo) est donc de quantifier, mesurer, compter les dates anniversaires, prendre des photos pour immortaliser le temps qui passe. Que de peur derrière cette notion de temps finalement… Ce à quoi les guerriers anciens, notamment les bushi japonais répondaient « le pire qui puisse t’arriver c’est de mourir. Puisque de toute façon tu vas mourir, alors pourquoi t’en préoccuper ? ». Voilà pourquoi les pratiquants d’arts martiaux, les thérapeutes et les méditants sont tous dans le maintenant, car avant et après n’existent pas et ont peu d’intérêt. Ainsi, lorsque l’esprit reste dans le présent, il peut envisager chaque chose l’une après l’autre, sans conjecturer sur ce qui va arriver ni regretter ce qui s’est passé. Là réside la sagesse de l’expérience du temps par le corps. Les actions sont beaucoup plus nettes, puisque le mental n’envoie pas les pensées en avant ou en arrière. L’efficacité est alors au rendez-vous dans tout ce que l’on entreprend. Il suffit d’être, de respirer et de vivre. Une fois que l’on a trouvé le « maintenant », le « ici » est assez facile à trouver. Où que l’on se trouve nous sommes ici. Le reste n’est que définition et construction artificielle provenant du mental des géographes. Mais si on réfléchit encore un peu plus, là où je suis n’est pas non plus un point bien défini. En effet, même lorsque je médite sans bouger, la terre tourne sur elle-même, me faisant tournoyer avec elle à environ 1700 km/h à son équateur. La terre tourne de plus autour du soleil à 107 406 km/h, ce qui me propulse à toute vitesse sur deux rotations simultanées. Le système tourne dans son bras de la galaxie, qui tourne autour du centre de celle-ci. Bref, tout bouge tout le temps. Aussi, même quand je reste assis, mon ici est très relatif et je bouge rapidement dans tous les sens. Je suis donc un peu partout à la fois. La notion de « ici » est donc surtout et avant tout celle d’être présent dans le temple que représente notre corps-esprit. J’aime beaucoup l’anglais, car on peut faire des jeux de mots impossibles en français. Lorsque je suis dans le « now » and « here », je comprends que ces deux notions ne font qu’une, que le lieu et le temps (espace-temps si cher à Einstein) ne sont qu’une seule entité qui est relative et en mouvement permanent. Je choisi donc de rester en mon sein, présent à mon corps et au moment présent. En faisant l’union de cet espace-temps, je suis ici et partout à la fois, ce que donnent les deux mots lorsqu’ils sont collés : « nowhere ». Être « ici et maintenant », c’est être partout et nulle part en particulier. Tout alors devient possible. Pour comprendre en détail les comptabilités du temps en 12 et 60, lire Les divisions du jour.